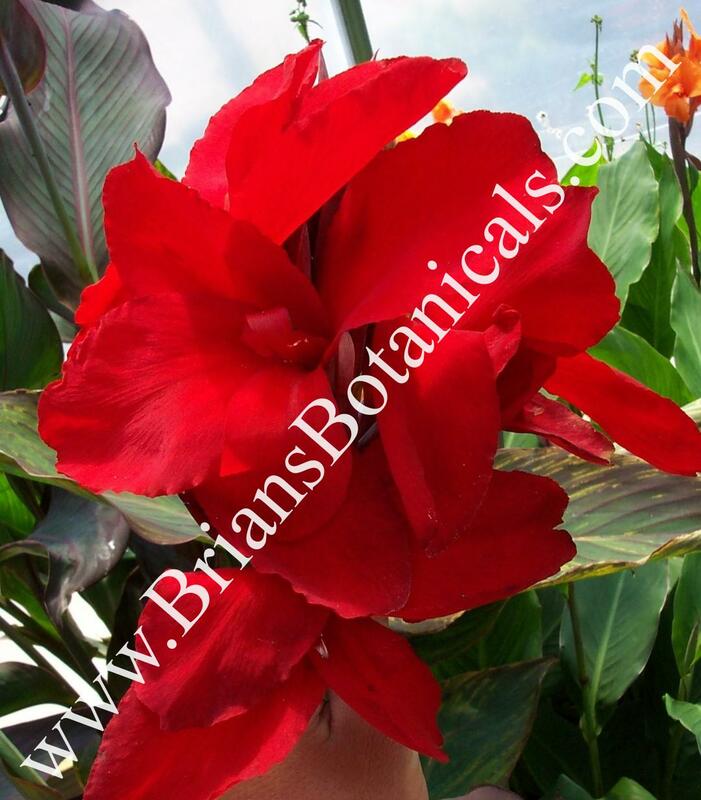 Canna Black Knight is a large growing canna with deep red flowers. Mature plants reach 5 to 7 feet tall. The foliage is dark purple to maroon in color. Plants are hardy to zone 7 and up. In zone 6 I recommend mulching heavily in winter.